This afternoon, the House Judiciary Subcommittee on Commercial and Administrative Law held a hearing examining the role that medical debt plays in consumer bankruptcy. The hearing, which was titled “Medical Debt – Is Our Healthcare System Bankrupting Americans?,” focused on a recent study I wrote about last week — Are Americans Being Driven Into Bankruptcy by the Health Crisis? The chairman, Congressman John Conyers, Jr. (D-MI), in his opening statement, said that he wanted to see, at the very least, revisions to the 2005 Bankruptcy Amendment Act, particularly with respect to debtors dealing with significant medical issues. He suggested eliminating the credit counseling requirement for such debtors, calling it a waste of time and money. He also wanted medical debt debtors to be relieved from the onerous means test requirements. President Obama previously suggested the need to re-write some of the bankruptcy law (see: Bankruptcy Change Under President-Elect Obama ). Hopefully we will see proposed legislation in the near future. In a study released today, Harvard professor Elizabeth Warren, whose work I’ve cited extensively, concluded that medical problems contributed to almost two-thirds of all bankruptcy cases filed in 2007. She also found that between 2001 and 2007, the proportion of all bankruptcy cases attributable to medical problems rose by 50 percent. President Obama has widely cited Ms. Warren’s previous findings. The study indicated that many solid middle class families were hard-hit by the high cost of serious medical illness, resulting in financial disaster. These are very sobering words which explain why so many middle class families are seeking bankruptcy relief in New York and on Long Island. When one considers the high expense of health care on Long Island, it is understandable that Long Island families are confronting a panoply of social forces that make it terribly difficult to maintain financial stability. Most of my clients are typical middle class Long Island families. I wrote about this phenomenon several years ago in an article, Consumer Bankruptcy: Bankruptcy has Become a Middle Class Phenomenon. 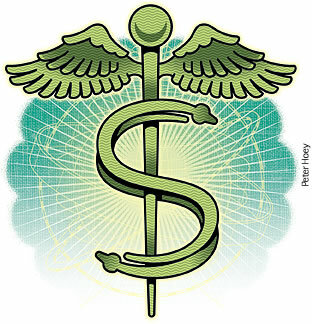 Also, for more info on how bankruptcy can eliminate medical debt, see my earlier post: How to Eliminate Medical Bills . 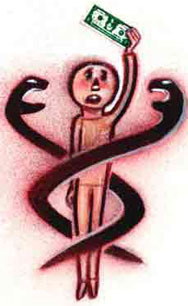 A copy of the Harvard study is available at http://pnhp.org/new_bankruptcy_study/Bankruptcy-2009.pdf. There are many issues facing the plaintiff negligence attorney whose personal injury client files for bankruptcy. Here are some bankruptcy fundamentals that you should be aware of. Bankruptcy Involves Different Statutes and Rules. Most personal injury attorneys practice relatively little in Federal Court, let alone Bankruptcy Court. Thus, when their P.I. client files for bankruptcy, a different world opens up with intimidating statutes and rules much different than those usually encountered in the typical Supreme Court action. Bankruptcy practice is governed by the United States Bankruptcy Code and the Bankruptcy Rules. The Bankruptcy Courts in New York employ the Federal Rules of Civil Procedure as opposed to the C.P.L.R. In addition, there are “local rules” for the two Bankruptcy Courts that comprise the Eastern District of New York, located in Central Islip and Brooklyn. Personal Injury Suits and Causes of Action are Assets. A serious injury that gives a debtor the right to sue for personal injury is an asset of the bankruptcy estate. The debtor can exempt the first $7,500 in net proceeds, but anything over and above that belongs to the bankruptcy estate. All Causes of Action Must be Scheduled. 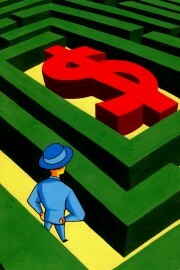 It is very important to make sure that the debtor scheduled the P.I. suit or cause of action in the bankruptcy petition. The debtor’s failure to schedule a potential cause of action may actually work as a meritorious defense to the entire P.I. case, which can result in having the P.I. case dismissed. Current New York case law states that if a P.I. plaintiff filed a chapter 7 petition but failed to list a potential cause of action for personal injuries, then the plaintiff lacks standing to bring the P.I. action. What to Do If Your P.I. Client Failed to List the Cause of Action. If your P.I. client failed to list the cause of action, then you should immediately contact the attorney who prepared the bankruptcy petition to discuss why this happened, and to determine whether any amendments were ever filed, or whether the matter was addressed at the first meeting of creditors. Unfortunately, some attorneys who prepare bankruptcy petitions are not thorough enough to cross-examine their clients as to such intangible assets as causes of action. Nevertheless, a debtor has the duty to amend his or her petition upon learning of any defects in the petition. Always Ask Your New P.I. Client if They Filed for Bankruptcy. Many P.I. clients neglect to tell their attorney that they filed for bankruptcy after their accident. If you learn that your client filed for bankruptcy, then you should look at a copy of the bankruptcy petition to make sure the client listed the cause of action as an asset. Also make sure the debtor claimed the exemption for personal injury. If the client already filed for bankruptcy and did list the potential suit, then you will need to determine what action the trustee took. The Trustee May Abandon the P.I. Case or Cause of Action. Most trustees will consider the right to sue for a relatively small injury as being of “inconsequential value to the bankruptcy estate” and may have already decided to abandon the trustee’s interest in the cause of action. Generally, if a P.I. case will not result in any significant non-exempt recovery (usually a gross award or settlement of less than $15,000 before attorney’s fees and disbursements), then the trustee will not care about administering it. If the case appears to be of inconsequential value, then consider contacting the trustee and requesting him to provide you with a letter indicating that he intends to abandon the trustee’s interest in the matter. Another option is to wait until the case is closed, as any property which is listed on the debtor’s schedules that is not otherwise administered before the case is closed, is deemed abandoned to the debtor. Thus, as long as the Court closes the bankruptcy, you will not need to get involved in Bankruptcy Court and you can continue with the case as you would have. If more than a few months have passed since the debtor attended the First Meeting of Creditors, consider having the bankruptcy attorney check the court’s docket to see if the Bankruptcy Court closed the case or if the trustee formally abandoned the asset. The fact that the debtor received a discharge does not necessarily mean that the trustee abandoned the asset or that the court closed the case. Also, closing the first meeting of creditors is not the same thing as closing the bankruptcy case. If the case is still open, contact your client’s bankruptcy attorney to see if the trustee expressed any interest in administering the P.I. cause of action. The Trustee May Want to Administer the P.I. Claim as an Asset of the Estate. If the case may be worth more than $15,000, it is likely that the trustee will not abandon the cause of action and will want to administer the bankruptcy as an asset case. Representing a Debtor with a P.I. Suit That Is Being Administered by a Trustee Requires Court Approval. The Bankruptcy Code requires that all attorneys who render services to a debtor must be approved by the court. A trustee may employ as special counsel under a contingency fee arrangement, any attorney who has represented the debtor in pre-petition litigation, when it is in the best interests of the bankruptcy estate and the attorney has no interest adverse to that of the debtor or the estate. Theoretically, the trustee can hire any attorney of the trustee’s choosing to represent the debtor in the P.I. suit, and can even take the case away from the existing P.I. attorney. In practice, however, this rarely occurs. The trustee will almost always permit the existing P.I. attorney to continue with the P.I. case because a relationship already exists between the debtor and counsel, and because the P.I. attorney may be in the best position to represent the debtor with a negligence matter. Nevertheless, it would behoove you to co-operate fully with the trustee. Handling a Debtor’s P.I. Case Requires a Retention Application. It will be necessary for you to file an application with the court to be retained as special counsel to the trustee for the purposes of prosecuting the P.I. claim. Annexed to the application should be a copy of the written retainer agreement between you and your client. The legal fee must be reasonable and it is subject to court review at the conclusion of the case. The application will also include an affidavit of disinterest in which you must state that you have no claim that is adverse to the interests of the debtor’s estate. This means that you cannot be a creditor for legal fees not related to the pending P.I. case. The trustee will usually prepare these documents (as well as any other necessary documents in the course of the bankruptcy) and submit them to the court after you sign them. Appearances in Bankruptcy Court by P.I. attorneys are rarely necessary. The application to approve your fee after the case is settled is usually brought by the trustee and should not require your appearance. Who Is Your Client Now? Once the trustee seeks your formal retention on behalf of the bankruptcy estate, you client is technically the trustee, rather than the plaintiff. Sometimes this can lead to some unusual ethical issues. Will the P.I. Case Be Transferred to the Bankruptcy Court? A personal injury case is considered a non-core proceeding which means that it involves issues not directly involving the bankruptcy code. You can therefore anticipate that the P.I. case will be litigated in Supreme Court. Will it Be Necessary to Amend the Existing Caption? Some trustees may require you to amend the caption to reflect the fact that the trustee has become the party plaintiff. Most trustees will not require this. Effect of the Automatic Stay on P.I. Litigation. The automatic bankruptcy stay imposed by Code sec. 362 does not operate to stay any actions brought by the debtor. The stay only acts to stay actions brought against the debtor including cross-claims, counter-claims and third-party claims. Settlement. Some trustees will require you to review all settlement negotiations with the trustee Other trustees will be content on hearing from you when you’ve reached a tentative settlement. All settlements will require the trustee to bring a motion to obtain Bankruptcy Court approval. The insurance carrier will thereafter want releases from the trustee as well as the plaintiff. It is important to maintain communications with the trustee as to all major settlement negotiations. The settlement is generally made payable to the trustee. Your Legal Fee. Once the matter is settled, you will be required to submit an application for a “final fee allowance” in order to be paid. This is something that the trustee should assist you with. Concluding Advice. The biggest variable in handling a valuable personal injury case of a debtor in bankruptcy is the attitude and disposition of the trustee. Contact the trustee at your earliest opportunity to get an idea of the trustee’s disposition and preferences.